Dating from ca. 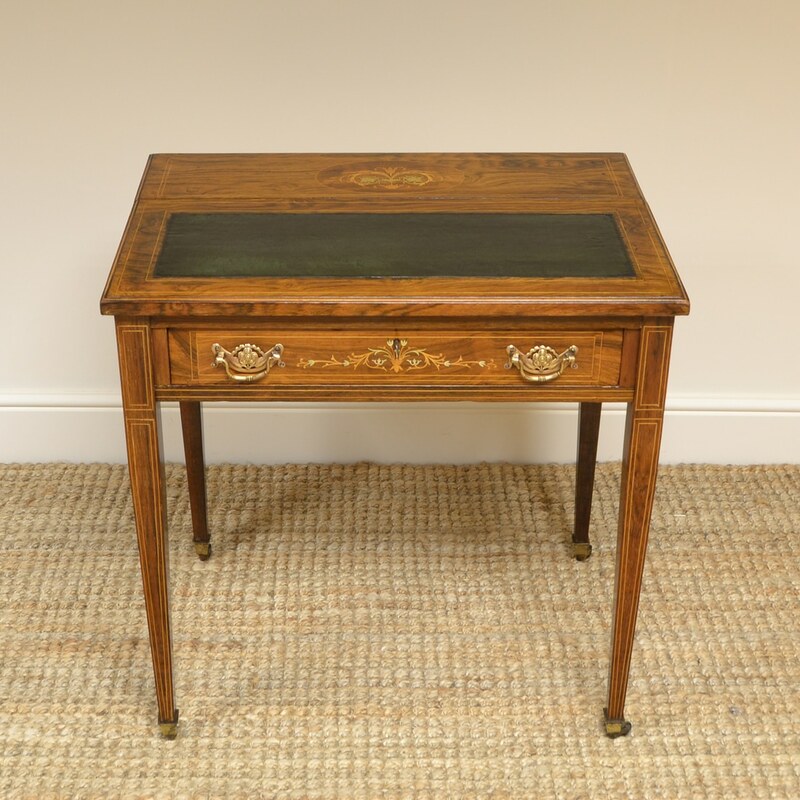 1880 and of nice smaller proportions, Stunning Quality Adjustable Victorian Rosewood Antique Writing Table is very unusual. 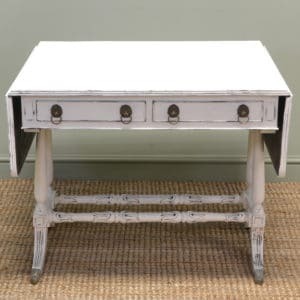 It has a concealed stationary compartment with inkwells, letter racks and pen holder. Dating from ca. 1880 and of nice smaller proportions, Stunning Quality Adjustable Victorian Rosewood Antique Writing Table is very unusual. 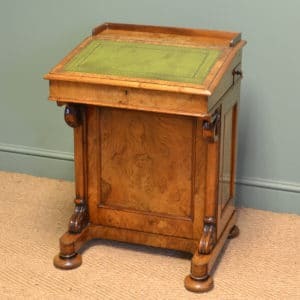 It has a concealed stationary compartment with inkwells, letter racks and pen holder. The top can be adjusted to two different angles for writing and is released with a small button on the back. 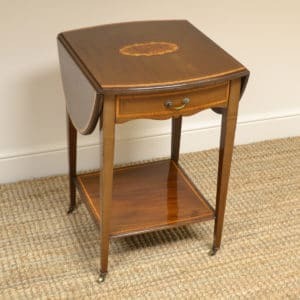 The top has the most impressive quality inlay and a leather writing surface. 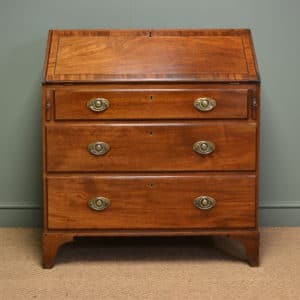 Below is a frieze drawer, Mahogany lined with quality inlays, key with working lock and the original brass handles. 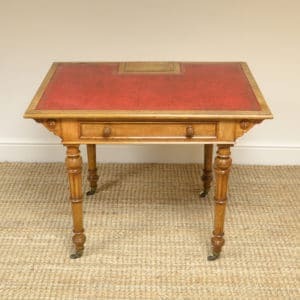 It stands on four tapering legs with brass castors and is a rich Rosewood shade with a striking grain, good patina, is in very good condition and has been beautifully cleaned using a traditional form of wax finishing.